Please browse through our catalog pages. We have therapeutic tinctures, soothing and energetic teas, herbs for a variety of uses, and an informative historic uses of herbs list. We even have some miscellaneous items like Tea balls, mesh spoons and Muslin tea bags. Enjoy your stay...and come back soon. All of our products are of highest quality. And our friendly staff will ship all orders expeditiously. You can shop online or call our warehouse for future orders at 1-727-575-9952. All of our products are of highest quality. And our friendly staff will ship all orders expeditiously. You can shop online or call our warehouse for future orders at 1-727-575-9952.
all orders over $100 will be shipped for FREE! Canada and other International orders are accepted. Let us know how you enjoyed our fine line of high quality herbs and tinctures. And be sure to tell your friends. 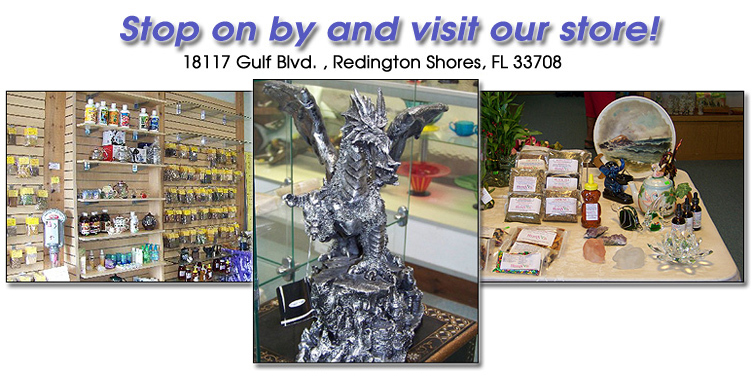 To obtain wholesale pricing, you must contact us at (727) 575-9952 to establish your wholesale account. We are required to obtain a Sales tax or EIN number to have on file renewed yearly. Shipping on orders under $200.00 will be actual freight charges or $15.00, which ever is greater. Orders over $200.00 will ship free. If you have any questions about your account, please contact us via E-mail at herbsbymerlin2@aol.com or via Phone 1-727-575-9952.